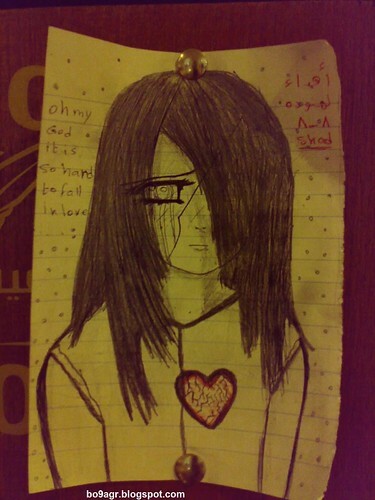 I saw this drawing on a girl's locker in Kuwait Unversity - Shuwikh campus, it loks like a love note, but is it from a girl or a boy? what do you think? I'd guess girl because her heart is breaking. A gay guy .. hence the eye makeup and hair. wow ! i didn't notice all that, the hair & eye thing. so, youthink it's aguy guy huh? well, we have some of them in Ku-Uni though! Al7amdillah , Chithi al7ub iysawi ! !